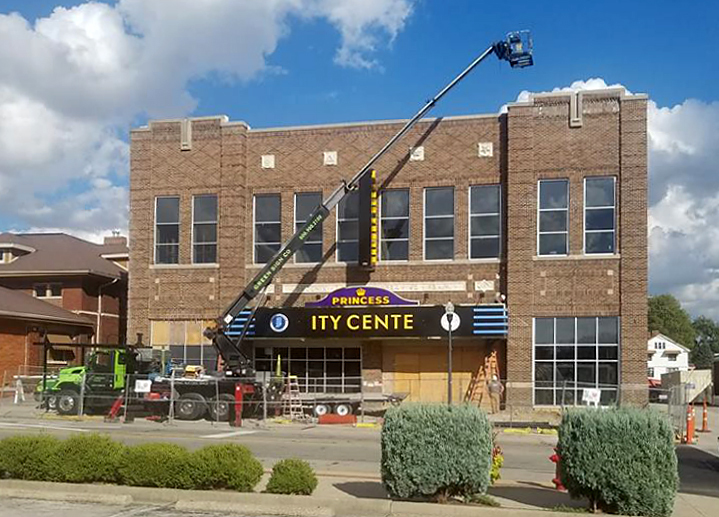 At a time when many small towns are losing their local movie theaters, Rushville’s Princess Theatre reopened its doors last December after nearly 20 years of vacancy, thanks to long-term local dedication and the state’s Stellar Communities program. The Princess Theatre occupies Rushville’s Masonic Hall, built in 1915 to house a variety of businesses. 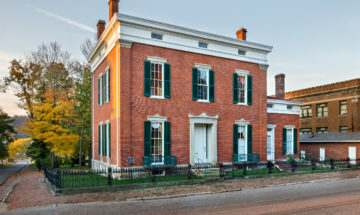 The Masons used the second floor, leaving room on the first floor for the theater, a narrow bowling alley, and a post office. Like many theaters, the Princess began its life hosting plays, vaudeville, and other live performances on its well-appointed stage before it began screening films in 1936. It served as Rushville’s only movie theater for more than 50 years before closing in the late 1980s. The Masons continued using the second floor of the building, but the Princess remained shuttered. In 2002, local residents organized a new group called Princess Theatre, Inc., to restore the theater to its 1930s appearance. 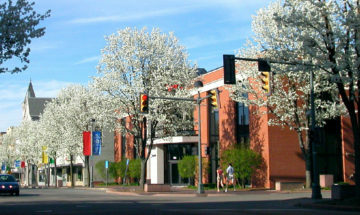 The group’s efforts received a big boost when the city purchased the building from the Masons in 2014 and Mayor Mike Pavey created an advisory committee to oversee the theater’s restoration. The Heart of Rushville, Rushville’s Main Street organization, joined the effort by holding fundraising events for the Princess’ rehabilitation. The group hosted pre-restoration “Hard Hat Movies” at the theater to build excitement and developed the Princess Theatre Road Show, a series of films shown at other locations around the city to raise awareness for the project. The final breakthrough came in 2016, when Rushville won Stellar Community designation for its “Center City Project,” an $18 million strategic investment plan aiming to revitalize downtown — including $3.8 million for rehabilitation of the former Masonic Lodge. 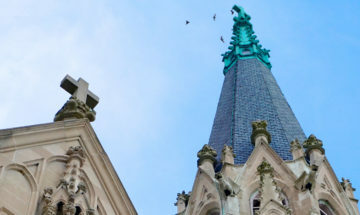 In addition to the restored theater, the building will also house City Hall and a satellite campus for Ivy Tech. 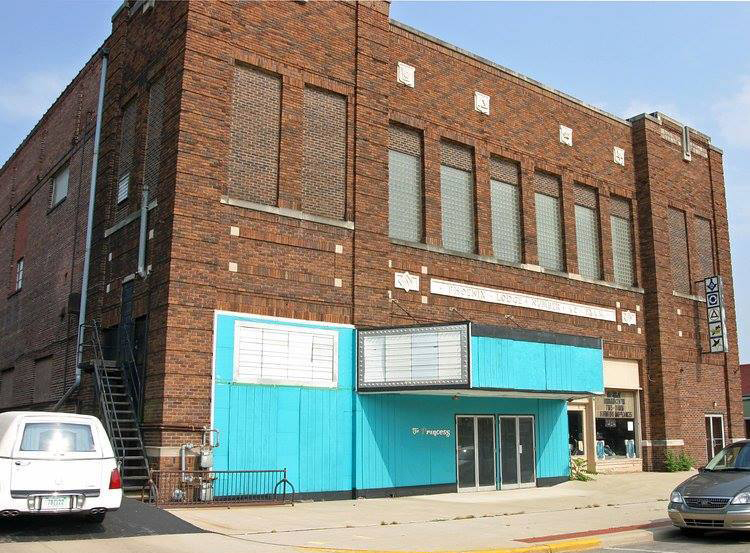 To show movies, the Princess Theatre has been connected via cable to Wolf Theaters, Inc., in Greensburg – essentially allowing the Rushville theater to function as an additional screen for Wolf Theaters. 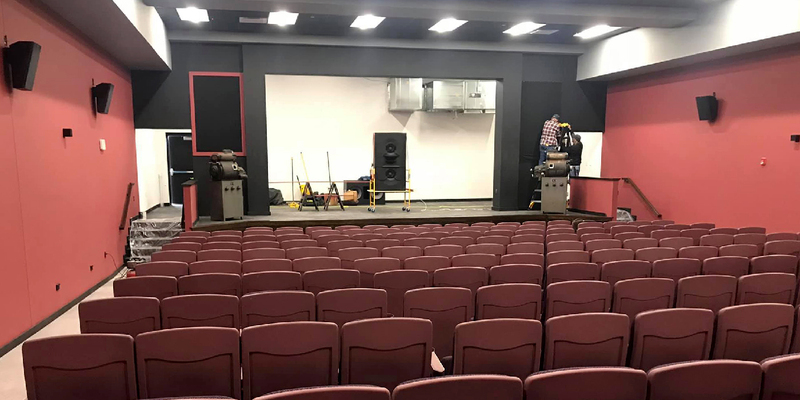 For the first time in decades, moviegoers in Rushville will be able to enjoy first-run movies without traveling to big-box theaters in neighboring communities. The soft opening on December 21 attracted a capacity crowd to see Mary Poppins Returns. The city plans to hold a Hollywood-style grand opening this spring. Find current showtimes and more photos on the theater’s Facebook page.